GoDaddy Inc. – the famous web domain registrar and a renowned web hosting firm has brought the premium support for WordPress. This latest option for customer support offers small businesses a power to contact 1 from more than 40 on-call developers of WordPress and the best customer support of GoDaddy. This challenging group of resources can be availed anytime by website owners who seek solution to optimize or manage their sites. As per the Scottsdale which is an Arizona-based hosting service providing company, this latest support solution will be greatly helpful to the website administrators of small businesses and also, to managers. The main objective of this support is to assist small businesses to maintain their high-end websites designed on WordPress platform and also, to enhance the web presence more effectively and smoothly than ever. The biggest and the most challenging thing for a small business is to sustain a good online presence. With an impressive online presence, not just your brand reputation will be enhanced, but also help you to be an authority in your work segment and thus, you will gain more customers. As per GoDaddy, the new offering which is a dubbed form of WordPress Premium support, is a standalone option that comes with unmatchable support with latest access level to the expertise of WordPress. The new premium WordPress support offering will apparently help businesses to fix, optimise and update the websites more conveniently and fast. It commits to offer customers 24 x 7 hours accessibility to the big on-call developers team of WordPress. By accessing this support, you can have expert guidance of these WordPress experts to resolve your varied website related issues and enhance performance. As per Mr. Alex McClafferty – the founder of WP Curve and Director of product stated about this GoDaddy offering that small businesses usually have more important things to concentrate on rather than spending all their time to figure out the way to troubleshoot or implement the fixes of WordPress themselves. So, be it a plugin which is not working or any website theme which requires updating, it should not be taken as a matter of but, when or if, as some extra support needs to be looked for. 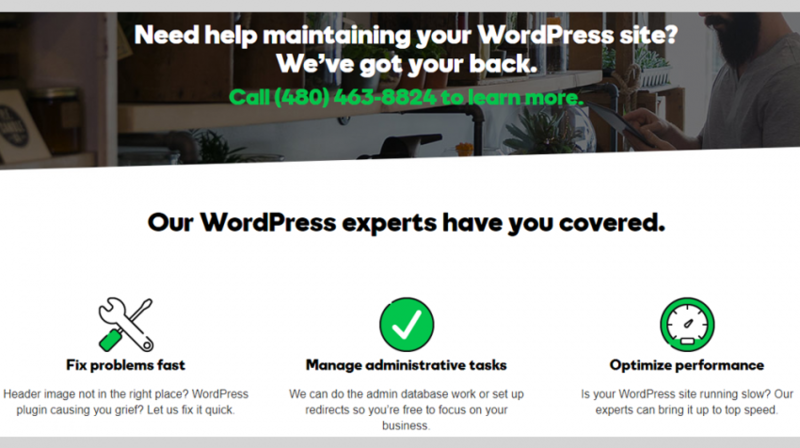 By using the new Premium Support of WordPress by GoDaddy, you will find peace of mind as it will keep your WordPress sites up and running as required with expertly implementing fixes. For registering for the new WordPress support, you should contact the customer care center of GoDaddy or browse the web page for WP Premium Support to get more details on this product. The basic support plan for this service which is a subscription-based offering comes at $79.99 a month which goes up by $149.99 a month on subscribing for Ultimate Plan. For taking any additional information about the WordPress premium support offering by GoDaddy call at 480-463-8824.